LOS ANGELES COUNTY – The Los Angeles County Board of Supervisors on Jan. 22 will consider a motion by Supervisors Kathryn Barger and Hilda L. Solis to develop a plan to increase the number of mental health hospital beds in the county. Currently, the California Department of State Hospitals operates only five facilities in Atascadero, Coalinga, Metropolitan, Napa, and Patton, with a total of 6,078 beds. The current wait time for a placement in these state hospitals is estimated to be a year or more, which leaves thousands of individuals who are in need of an inpatient hospital placement without access to the appropriate level of care. 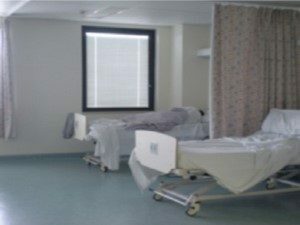 The shortage of State Mental Hospital beds means the individuals in need of care and their families are forced to search for a placement elsewhere. However, when examining California Office of Statewide Health Planning and Development data, there is a tremendous deficit in non-state options as well. The number of mental health hospitals (excluding state hospitals) fell from 181 in 1995 to 144 in 2016, a reduction of more than 20 percent. The reduction in the number of facilities resulted in a loss of 2,651 non-state beds between 1995 and 2016. According to leading mental health experts, the minimum number of beds required to appropriately meet the need is 50 public mental health beds per 100,000 individuals. In Los Angeles County, there are only 22.7 beds per 100,000 individuals, and California has only 17.05 beds per 100,000 individuals. The motion directs the Department of Mental Health to work with the Chief Executive Officer to develop a plan that includes potential sites, funding options, patient populations, and all other pertinent details and report back to the Board within 120 days. View the motion here. 2 comments for "Barger calls for county plan to generate inpatient mental health hospital beds"
Using the word “retard” is at all times meant as a euphemistic put-down, and the genesis of the “put-down” itself is based on disparaging a population of special needs individuals who have always been viewed as inferior to the person mouthing the words. It is a weapon of derision, and it works. There is more love and compassion in this loving society than in your mind-set at this time in your life. Maybe you can change for the better, as is the hope for us all, while we are still breathing.